Kansas City will be seeking to avenge one of its early-season blowout losses from last year, as it visits Buffalo to take on the Bills. This should be an interesting matchup, as both teams have similar story lines entering week two. Kansas City and Buffalo each gave up more than 40 points in their opener, and both teams are missing several key players due to injury. If there ever was a time for the Chiefs to right the ship, this is it. The Bills were destroyed by the New York Jets in week one, 42-21, making the embattled Mark Sanchez look like Dan Marino. The team also lost starting running back Fred Jackson and receiver David Nelson, two big blows for the offense. Kansas City is still banged up on defense, and it is unknown if Brandon Flowers, Kendrick Lewis and Anthony Toribio will play on Saturday. All three are currently listed as questionable. 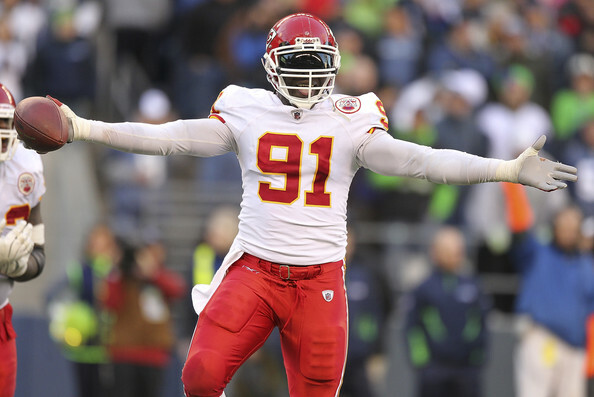 One player who will be back is pass rushing specialist Tamba Hali, who should give Kansas City’s defense a huge boost. The biggest wildcard for this matchup is Bills quarterback Ryan Fitzpatrick. Since signing a lucrative long-term deal, Fitzpatrick has struggled in Buffalo, and last week he completed only 56% of his passes while throwing three interceptions. If Fitzpatrick plays well, the Bills will have a shot to score on the Chiefs’ banged up defense; if he continues to struggle and turns the ball over, the Chiefs may be able to take advantage of the good field position and put the game away. Kansas City will also have to deal with Jackson’s backup, C.J. Spiller, who exploded for 169 yards in week one including a 56 yard touchdown run. Matt Cassel also struggled with turnovers in week one, as the Chiefs’ quarterback threw two interceptions and fumbled deep in his own territory. All three turnovers led to points for the Atlanta Falcons, a big reason why the game got out of hand quickly in the second half. Cassel and the Chiefs’ offensive line will have to account for Mario Williams, one of the best pass rushers in the NFL who signed with Buffalo during the offseason. If the team can slow Williams down and allow Cassel time to throw, he could be in for a big game against a Bills secondary that got torched last week. As usual, the Chiefs should be able to move the ball well on the ground, which should only help Cassel. Both teams are reeling from big opening day losses, however the return of Hali and the Bills’ injuries on offense should help the Chiefs slow down Buffalo’s attack. This one will likely come down to the play of the quarterbacks, and big game from Cassel or Fitzpatrick could be the deciding factor.